QuickTech Self Boot for (Apple) – Ultra-X, Inc.
How do I update the QuickTech Self Boot USB (for Apple)? How to boot QuickTech Self Boot on an Apple Mac? 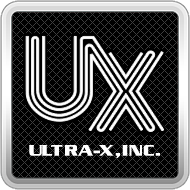 Ultra-X diagnostics identifies errors but my other software diagnostic packages don't?